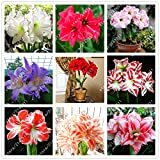 Hippeastrum bulbs for sale – Easy plant to grow, grown for the ornamental flowers, planting in early spring in cold climate and in warmer climate spring to autumn, better to buy bulbs but also possible to buy plant or another option to start from seeds yet more challenging. 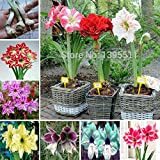 Growing information: perennial plant, growing hardiness zone: 9-11 (possible to keep the bulb in the soil) 4-9 (need to keep the bulb over the winter indoor), but also can grow as house plant with a lot light, water needed – small to average amount, light conditions – full sun to full shade (need sun to bloom after this can be in shade), height: 20-70 cm, 0.8-2 feet. 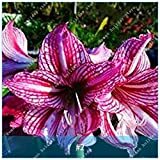 Blooming in the spring to summer in trumpet shaped flowers that appear in pink, white, red, purple, orange or mix color. 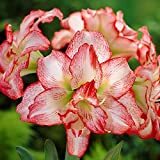 Hippeastrum bulbs for sale – When it is the season to buy Hippeastrum bulbs? 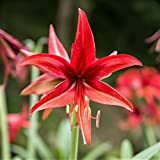 Where can I buy Hippeastrum bulbs? 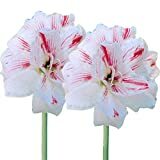 Hippeastrum bulbs for sale – it’s recommend to start from bulbs it’s the easiest possible to start from seeds, need to know that can be plant all the year but in frost area not in the winter might die, until plant it need to keep it in cool, dry and dark place, need to plant it in well-drained soil, can grow in full shade to sun but won’t bloom need to make it bloom before enter it home. Can be bought in the links here there are variety of option to buy here.